Melissa is a macro virus that was wide-spread through a suspicious e-mail attachment in 1999. It was initially sent as a Microsoft Word file, which when clicked to open, emailed the malicious content to another 50 contacts of the victim’s address book. It does not infect any of the files or any other computer resources, while it distorts the email servers as the wavelet of the email dispersal begins to grow bigger n bigger. Reports reveal, that the Melissa attack has spawned the Microsoft Corporation to close down and stop incoming emails on March 26th 1999. You cannot avoid receiving and reading e-mails – be wary and do not open attachments if you find them suspicious. Especially if you get an email with “Important Message from [the name of someone],” and do not attempt to open an attachment especially if you find a doc with the name LIST.DOC – do not click on it. Make a note of the email address of the sender and delete the email. Inform the sender that the computer is infected. How to stay protected from Melissa? 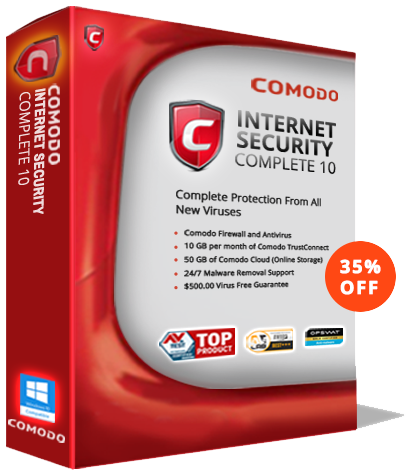 Install an efficient antivirus software or an internet secuirty suite like Comodo Internet Security Suite as it features robust threat and virus protection techniques like containment and malware verdict system called the valkyrie. which can help users to filter out even the most notorious unknown and zero day threats from infecting the normal operations of the system. Also update all the software as and when there is a patch release from the vendor – this can be done by configuring the system for automatic updates so that you will not miss on any updates. Enable the antivirus protection always enabled to ensure absolute protection from virus.